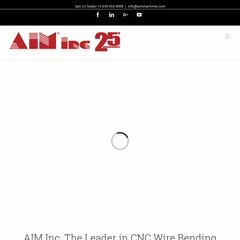 aimmachines.com About « AIM CNC Wire Bending Machines. The fastest CNC Wire ..
aimmachines.com AFE-2Dx « AIM CNC Wire Bending Machines. The fastest CNC Wire ..
aimmachines.com AFC 3Dx « AIM CNC Wire Bending Machines. The fastest CNC Wire .. The site has about 140 users daily, viewing on average 2.80 pages each. melchers.co.th C. Melchers & Co (Thailand) Ltd.
Its IP Number is 67.20.91.146. Bluehost Inc (Utah, Provo) is the location of the Apache server. Its 2 nameservers are ns1.bluehost.com, and ns2.bluehost.com.